In a recent email to Seven Days, Burlington expat and percussionist Jane Boxall writes that her latest album, Field Notes, is a "springtime album." Indeed, it was recorded in May 2015 and released in May this year. But it's more than merely a seasonal coincidence. "Forget about January 1," writes Boxall. "Spring is the start of the new year." Field Notes is an album of new beginnings. Queen City fans likely know Boxall best from her time drumming for the local punk bands Doll Fight! and Black Rabbit. They may also be aware that she's a classically trained marimbist with a doctorate in percussion from the University of Illinois. In other words, Dr. Boxall is a highly educated and trained badass. She can pulverize a drum kit and coax harmonious, intellectually complex patterns from a marimba. Which she did on her fascinating 2012 solo album Zero to Eight Mallets. Though those disciplines may seem disparate, they have one thing in common: structure. In punk, Boxall is bound by the rigidity of meter and two-minute songs. In her classical pursuits, she is bound by composition, even if she is the composer. So, for Field Notes, she wanted to try something new and unrestrained. With a little help from her friends, Boxall found her muse for these seven songs on scratchy field recordings made with an iPhone 3 in Milton, Vt., and Slovenia. Field Notes is a conceptual album, but its concept is open to interpretation. A collaborative and improvisational work, it relies on the interpretations of its collaborators. On "Here You Are," vocalist Julia Josephine Sloan adds a chorus of contrapuntal vocals over a field recording of improvised marimba. "Milton Bells" was built around a recording of church bells. Over this, producer-engineer Michael Chorney adds his signature prepared guitar. In concert with Boxall's marimba, Chorney's light thrums sound almost harp-like, heavenly. In contrast, "Svirel Bells," based on a field recording of church bells in Slovenia, takes on a more exotic, ethereal tone. Only occasional chirping birds tether the listener to the earthly plane. Boxall calls "Too Long" the "most tightly composed piece on the album." It may also be the strangest. It's built upon a field recording that happens to skip in a five-beat loop. Over this, Boxall layered marimba parts bowed with a double-bass bow. It's fascinating, if jarring. Fortunately, what follows is the sweetest and most straightforward cut of the record: a rendition of the Benji Hughes song "Oysters," voiced by local chanteuse Miriam Bernardo. Field Notes closes on "Antifreezeup." The field recording here is of ice shards blowing around on a nearly frozen Lake Champlain. Chorney's prepared guitar and Boxall's use of mbira and tank drum emulate the fractious crackle of ice. It imparts a sense of barren chill that makes one long for the warmth of spring and the promise of new beginnings. 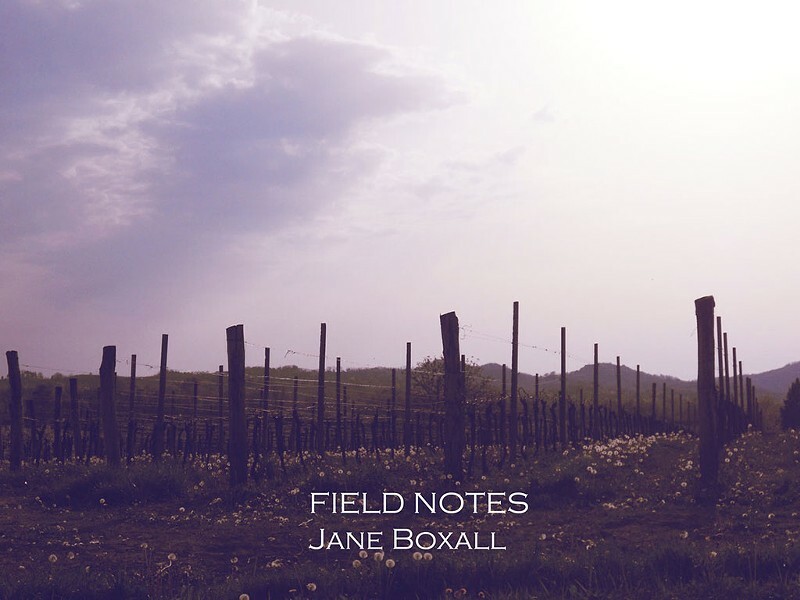 Field Notes by Jane Boxall is available at janeboxallmarimba.bandcamp.com.